If you are, or a member of your family is a May graduate, you need to send the following information as soon as possible to graduation@potawatomi.org: Full name, hometown, Tribal family name, high school or college, degree type and major. Last month, it was announced that Makaila Cowdin, a Topeka West High School senior, was a Kansas All-5A girls bowling first team selection. Makaila is proud of her Native American heritage and is a member of the Bourassa/Peltier family. Congratulations, Makaila. May Elders’ Potluck in Rossville, May 11: The May elders’ potluck is noon May 11 in the CPN Community Center in Rossville, Kansas. The main course this month will be Indian (fry bread) tacos. Please bring a side dish, salad or dessert. The Senior Support Network staff has asked that you RSVP by May 9 if you plan on attending. Their number is 785-584-6171. Tour of Buffalo Ranch, May 29: There will be a two-hour tour of a buffalo ranch located in Wabaunsee County, Kansas on May 29. Transportation will depart from the CPN Community Center at 1 p.m. The tour fee is $200 for a group of 10 or more. We already have 18 signed up, so the current individual cost is less than $12 and could go lower. Tracy set May 16 as the last day to sign up and pay for the tour. If you have any questions, please call Tracy or Pam at 785-584-6171. 3. Tour of Sugar Creek, June 12: On June 12, there will be a trip to Linn County to tour the location of the final destination of the Potawatomi Trail of Death, later called the Sugar Creek Reservation. In addition to viewing the remaining evidence of the Sugar Creek Mission and the hand-dug well, there have been several new attractions added. There are seven tall, wooden crosses with plaques attached that contain the names of more than 600 Potawatomi who died at Sugar Creek during the eight years the Tribe was there. Also, there is a memorial to Sister Rose Philippine Duchesne, who was later canonized by the Catholic Church for her service to the Potawatomi. Transportation is provided and departs Rossville at 8:30 a.m. for the approximately two-hour trip to Sugar Creek. Tracy has asked those interested in the trip to RSVP no later than June 6 by calling 785-584-6171. 2018 CPN Family Reunion Festival: Don’t forget, the 2018 CPN Family Reunion Festival is June 28 to July 1 near Shawnee, Oklahoma. The Honored Families this year are Anderson, Beaubien, Bertrand, Bourbonnais, Ogee, Pettifer, Toupin, Wano and Yott. 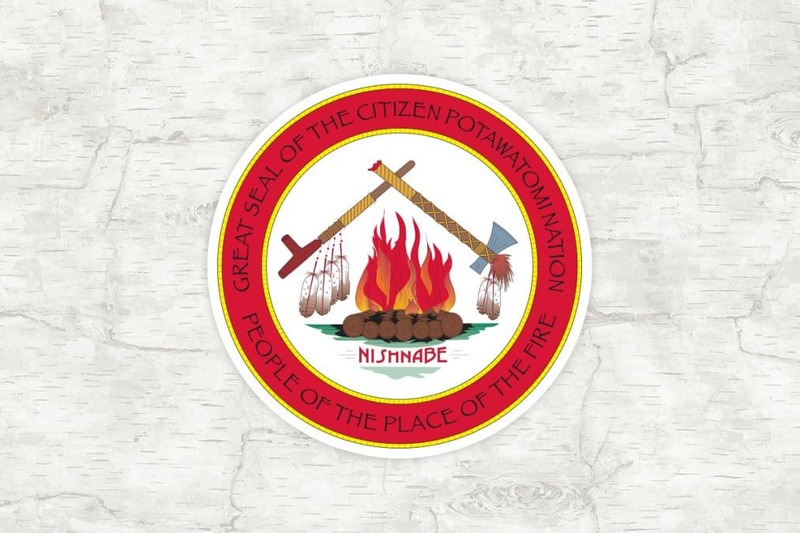 2018 Gathering of the Potawatomi Nations: This year the Gathering of Potawatomi Nations will be held on the Prairie Band Potawatomi Reservation in Mayetta, Kansas. A language conference is July 30 and July 31, followed by Gathering activities Aug. 1 through Aug. 4. Traditional powwows happen on Friday and Saturday evenings. We have been informed that the PBPN will host a dinner at their Casino on Saturday at 4 p.m. for all Potawatomi veterans attending the Gathering and one guest. They have asked that we give them an expected number of attendees, and in particular the number of Potawatomi female veterans. Give me or my brother (785-584-6401) a call if you plan on attending this dinner. Answers: Corn, potatoes, tomatoes and cassava (originally from South America; it is cultivated as an annual crop in tropical and subtropical regions for its edible starchy tuberous root, a major source of carbohydrates). I didn’t say it was going to be easy.